Get your hand onto another great quality material and craft out of pallet wood reclaiming, recycling or restoration or whatever you want to call it. 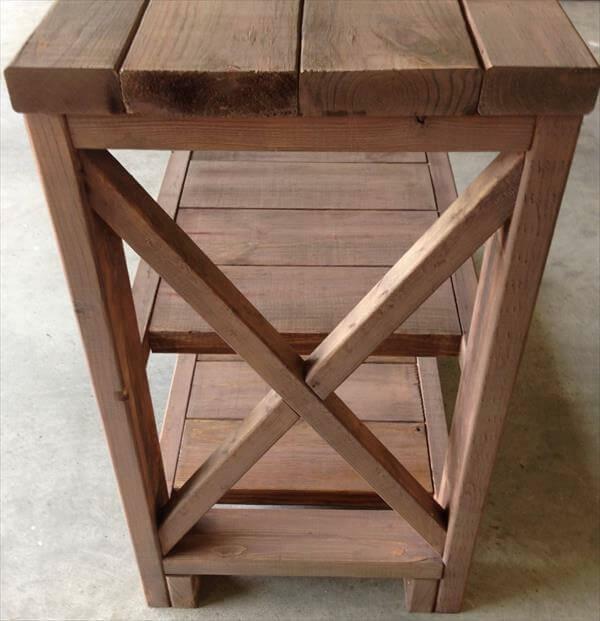 We have manufactured a sophisticated type of DIY pallet table in tiered mode which goes for multiple purposes and is multi character in nature. 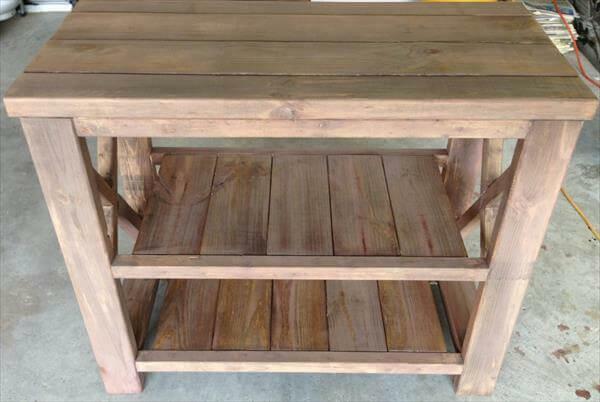 This would be a rocking addition to kitchen as a DIY pallet kitchen island table to keep going the eating routines in the kitchen. 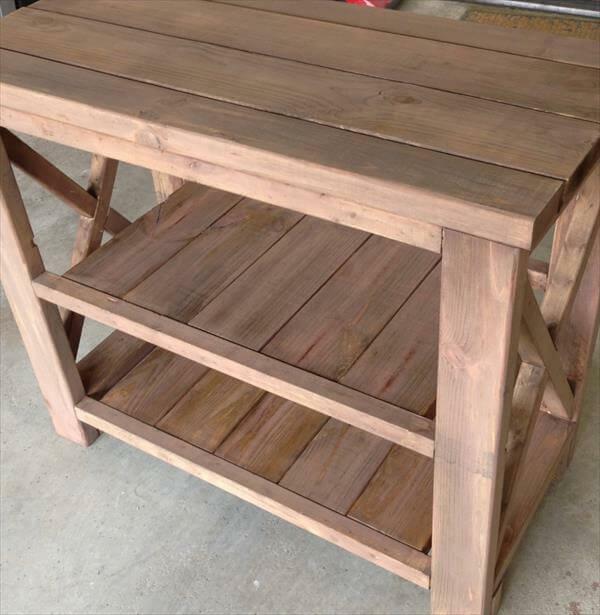 There is another great use of this rustic piece of DIY pallet furniture to be rocking in its service, you can give it a perfect move to be a DIY pallet hutch TV console stand or table in your media room or living room. We have sanded the stripped up pallets before getting them into this serviceable layout, sanding has been done with a medium grit of sandpaper so the rustic wooden history is still there to be enjoyed with vintage character.